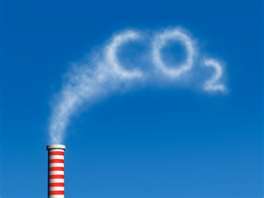 The carbon tax will come into effect on the 1st July this year. It is my understanding the the Federal Government believes it has done as much as possible to alleviate the burden of this from ordinary people by reducing taxes, giving a one off payment to pensioners, self funded retirees and parents with children in school. But I wonder if you will think this if your rates rise to meet the expected costs to Local Government? Council, on 28th May, rejected Cr Schnell's bid to raise the rates 6.6% (the 5.1% we went to consultation with plus 1.5%) to cover what he believes to be an expected cost rise of 1.5% that will need to be met by Council. So far the only information we have is that staff believe that direct cost increases could be as much as $140-$240,000 and the cost of waste disposal could rise by a similar amount. The maximum would be a cost increase of nearly $400,000. It could be argued that Council staff should have included these costs in their individual budget estimates that have been presented to Council. The fact is that they have not. http://www.loc-gov-focus.aus.net/index.php?view=editions/2011/august/carbon.php make for interesting reading. The cost for each individual household for land fill alone is estimated to be $35(0.974 tonnes per household residual waste x $35.70 = $34.76 per household per annum). Some sources indicate that this impost will only be added from the following financial year as the carbon is only released as the waste breaks down and not as it is dumped. Nevertheless, we as Councillors will have to do some serious thinking on this as more information comes available. Re the carbon tax - as self funded retirees, we will NOT receive any compensation. We do not pay income tax, are not old enough for the pension and even as low income earners are not entitled to anything. I think the Federal Government forgot about our group! I do enjoy reading your newsletters - keep up the good work.